Which Child Care Option In Singapore Is Parents Best Choice? Your kid develops faster as he or she can learn to make friends socially, play with others of the same age. There are educational activities where the toddler can start to learn simple things at a tender age, developing them physically and psychosocially. This works to the kid’s advantage as they will have an upper-hand compared to their counterparts when they finally join school. This is not a matter of being kiasu parents but rather, parents can achieve better mind security as your kid is under professional care where the teachers do more than just looking after your kid. 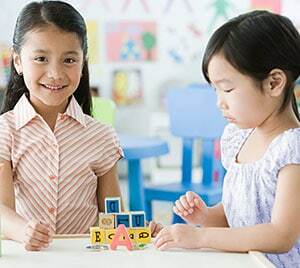 There are several child care centres that you can opt for in Singapore such as PCF Sparkletots, My First Skool, churches and other premium childcare services. These professional centres have a structured schedule which resembles a school environment preparing your kid for school, where teachers are certified and trained in childhood care and education. There are several playgroup or staff teachers, therefore you will not face the problem of no one taking care of your children if the teacher in charge take annual leave or medical leave. Parents can also claim subsidies for childcare from Singapore government to help ease the financial burden too. Location and cost are often the top consideration factors. If the child care centre of your choice is not nearby and not convenient, it will become many long tiring days of hassles for parents. You will need to rush to work in the morning. Have you ever experience yourself not wanting to get up early in the morning and go to work? Your child too. In fact, when we were young as toddler, we wouldn’t want to wake up that early, listen to mother, get dressed and go to school obediently as well. It is understandable that the child will behave the same too. This can lead to a delay in reporting for work, starting your day in anger and frustration. Not only that, after the mad rush in the morning, you will need to rush to school in evening as well because you are required to pay penalties if you are late in picking up your child. Hence subsequently it becomes a habit of letting your child skip classes where many will abort the original plan and let grandmas and grandpas take care instead, end up not fully utilizing the school service and waste the monthly school fees that they had paid. Other disadvantages include not getting enough individual attention from the teacher as the school management system is 1 to many. There is also a higher rate for toddlers to fall sick easily due to group based activities and contact where exposure to virus is high while the immune system is low at the current young age. Therefore parents need to be prepared to take urgent leave to take care of child as they will be encouraged to send the toddler back to school only when he or she has recovered with doctor’s approval again. 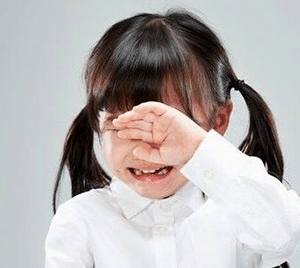 For parents who have no choice or support from the families, will need to engage ad hoc babysitter to overseer the child temporarily so that they can go to work. This unforeseen circumstances resulted in paying more in addition to the childcare centre fees than what was planned initially. A day time nanny can be best described as a full time babysitter who help to babysit your child for 8 to 12 hour daily during the weekdays so that you can go to work. The home nanny gives your child personalized care compared to any other form of childcare. He or she can be your relative, friend, neighbours or someone you trust. They are usually older women who have a lot of experience looking after kids and are responsible to them at all times. 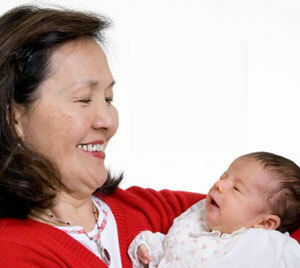 If you cannot find a daytime nanny by yourself, you can engage a babysitter agency to find one. Make sure you define the scope of what is expected of the day nanny to avoid any misunderstandings. Since the day time nanny has only one child to look after, your child will get appropriate individual attention. This also means he or she is less likely to get infected with contagious virus easily. If the day nanny worked as playgroup teachers, nurses in the past, they are also able to nurture the child and handle any emergency situation that most parents can’t. In fact, day nannies do a better job in bringing up kids than most mothers. This is attributed to their several years of babysitting experience handling different infants or toddlers and knowing exactly what they need. If you work from home or engage babysitter at your home, you can get to spend quality time around your kid as they grow up. Depending on your requirements, besides daytime nanny who take care of your baby during regular working hours, you can have the flexibility in opting for a part time babysitter for night babysitting or ad hoc babysitter as well. You can also have the flexibility to change day nanny if they provide bad service or cannot perform to your expectations. However, do try not to get a different babysitter every time because of price. This is because most kids will enjoy the company and tend to open up more with someone he or she is familiar with as they feel more secure. While most day time nanny has less restrictions for parents to follow, however some implement penalties for lateness as well. This is because there are parents who take advantage of their service and deliberately came late to fetch the child. This ends up taking additional personal time of the babysitters who are unable to perform their after work planned activities, not to mention short changing them the agreed hours of service. However, this is a case by case basis which they can close one eye if they feel parents are unintentional and it is not very frequent. Besides that, day time nanny is just like anyone of us. They need to take holiday or can fall sick some day. This can be sudden, in a short notice, catching you off guard completely. In such a situation, you will be forced to take urgent leave, look for ad hoc babysitter or backup childcare. However, if you have been searching and engaging freelance nanny by yourself, will you be able to find another trustworthy nanny who can be available at the same time too? They are the most trusted people whom mummy and daddy can rely on. However, this option might not be available to families or Singapore PR whose extended families are not staying together with them locally. Parents can have peace of mind knowing the child’s well-being will be the most taken care of as that is how they are brought up healthy and well today. Grandmas and grandpas long for something to do to make their days interesting. Nothing else can bring them greater joy than playing and taking care of their own grandchildren. Daddies and mummies will have no hassles or worries that others are experiencing if they engage babysitters or send to infant care centre such as rushing to meet the timing to fetch the toddler to and from home. Most grandmas and grandpas love their grandchildren. They might even spare the cane and spoil the child, making them fearless and hard to control which is what most young parents fear nowadays. Some sons and daughters or the spouse may just speak out their mind directly in order to discipline the child but unintentionally hurt their parents in the process. Some feel helpless and may not want to voice out their thoughts due to the respect for the elderly. However, these days of silent discontentment that are bottled up may worsen the husband and wife relationship and leads to quarrels or arguments because of different viewpoints and thinking which can cause greater disharmony to the families instead. They are a great help in managing our household chores, doing great jobs with the upkeeping and maintaining the cleanliness and hygiene in the house. Most come from asian countries such as Indonesia, Philippines, Myanmar and Malaysia. The cost of hiring domestic helpers from maid agency is not expensive in Singapore. There are families who can even afford to hire two helpers or maids to help relieve mummies or daddies from household duties so that they can have more rest time or more quality time together. To save cost, some parents engaged helpers to take care of the baby as well as household matters as professional nanny usually do not perform household duties for the families. This can be one option for families who are tight on budget. Helpers are also human. There are very good and hardworking helpers who don’t mind doing extra work in taking care the whole family. There are families who are nice employers who recognise their efforts and pay more for their contribution. However, we have also the other side of the world which we often hear horror stories about ill treatments from employers as well as how badly the helpers take care of the baby. Besides language concerned, the young helpers or maids are most probably not experienced or professionally trained in handling infants. They might not have the best interest or time in nurturing your child as they need to do household chores, wash clothes and marketing. Otherwise they can get a scolding for unable to complete a job thoroughly and end up doing sloppy job instead. Therefore, there is a reason why professional nannies don’t perform the usual household chores in their service. Besides the need to be responsible for the safety of the child, the energy and strength required to babysit the toddler can be pretty exhausting as well. Which is the Best Option For Your Child? 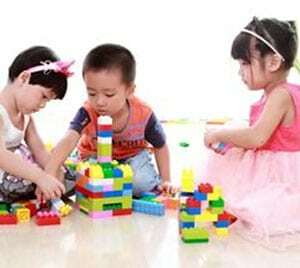 Selecting the most appropriate childcare plays a crucial role in your child’s physical growth and overall development. Daddy and mummy might get into heated arguments among yourselves for this matter. One may want to spend while the other may want to save. Of course, we will want the best for our children but going to the top preschool or engaging service from well known babysitter agency might not necessarily be the best option for your children. It’s about balance and harmony. Although education is important but having a good character development, happiness and well-being is more essential to the infant or toddler at current young age. This is why parents are advised to do the homework, discuss it together in harmony and thoroughly before settling for a childcare plan. No matter which option you choose, make sure your child is in safe hands, happy and healthy. NannySOS provides day time babysitters besides confinement nanny services for working parents. We will be happy to join you in your journey and finding the most suitable daytime nanny for your child. Yes sure. Please send your babysitter request or email to us. Thank you. Hi, I’m looking for a full day time baby sitter. Can you provide more info to all the fees chargeable, payment mode, some of baby sitter background info & do the baby sitter come to my place or I have to put my baby at their place? Thank you. Hi, thank you for reaching NannySOS. You can send your request via our email or form so we can follow up with you later. Thank you.